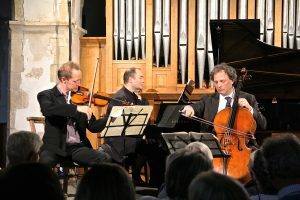 As we look ahead towards the Rye area music scene in 2019, one obvious highlight will be the unmissable Peasmarsh Chamber Music Festival at the end of June. However, despite the very busy schedule of many of its participants, the Festival’s activities are not confined to summer in Peasmarsh. Last November, the Florestan Piano Trio, only begetters of the Florestan Festival at Peasmarsh, out of which the present festival emerged, teamed up again for one night only, to give a splendid concert at the Wigmore Hall with colleagues Aleksandar Madžar and the Doric Quartet. In mid-December last, by kind permission of David and Sarah Kowitz, a concert was given in the Recital Room at Fairlight Hall, for the Festival’s Friends and supporters, an appropriate thank you to all of them. The Fairlight Hall event contained two treats: the first, introduced by Festival co-director Richard Lester (’cello), was a splendid concert by him and long-time colleague, pianist Caroline Palmer. They began with the remarkable compactness and compression of the first of the two opus 102 sonatas by Beethoven, next contrasting this with the long intervals and sweeping melodies of Fauré’s sonata. They concluded with a work that was one of the first recorded, with Ernest Lush, by the young Jacqueline du Pré for the BBC. Even those two cannot have matched Richard and Caroline’s inspired rendering of Manuel de Falla’s Suite Populaire Espagnole. The second treat was having our appetites whetted for the summer festival itself by its other co-director, violinist Anthony Marwood, who set out the immensely high level of the musicians being approached to play for all those fortunate enough to be in attendance in June. 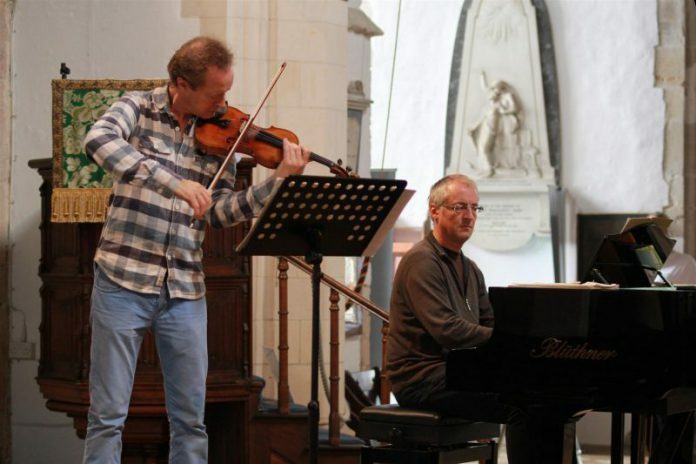 Though the Peasmarsh Chamber Music Festival is a wonder, special musical performance can also be enjoyed in and around Rye: in the Rye Arts Festival itself, at Brickwall in Northiam and at Vinehall School in Robertsbridge, among others. To use a completely contemporary expression: what’s not to like? Image Credits: Rye & District Camera Club , Walter van Dik.